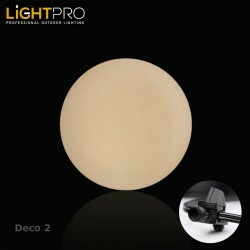 Lightpro Decorative There are 3 products. Lightpro decorative outdoor lighting is designed to become a focal point in it's own right. 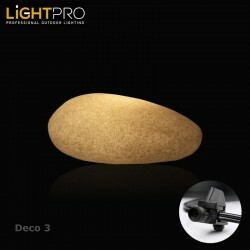 Lightpro decorative garden lights can be positioned on any level surface. The 12v Lightpro system is plug and play. 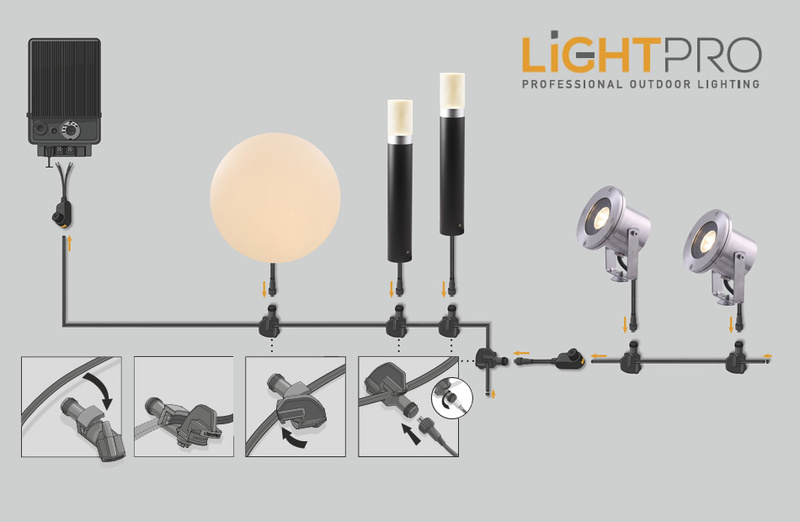 Simply connect your Lightpro cable to your Lightpro transformer and connect your Lightpro garden wall lights to the cable using Lightpro's award winning screw connector. Lightpro's decorative light range are all RGB allowing you to set the mood of your lighting in the garden. All the decorative lighting in the range also comes complete with a remote control. This type of lighting, especially the round garden light (Deco 2) is incredibly popular and look great next to the front or back door as well as in the garden. The Deco 1 outdoor decorative oval light has a remote controlled rgb lamp allowing you to set the colour of the light to suit your mood. 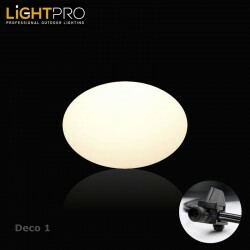 The Deco 2 outdoor decorative round / ball light has a remote controlled rgb lamp allowing you to set the colour of the light to suit your mood. The Deco 3 outdoor decorative stone light has a remote controlled rgb lamp allowing you to set the colour of the light to suit your mood.